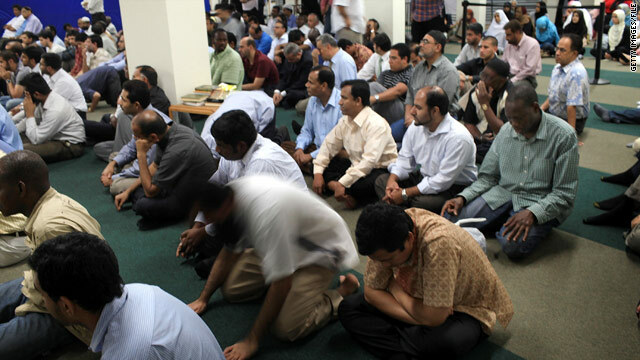 Men attend Friday prayers in a prayer room in the building that is the proposed site of the Park51 mosque and cultural center. (CNN) -- New details emerged Tuesday about the controversial "Park51" project, involving the proposed Islamic cultural center and mosque in New York City. A source familiar with the project told CNN's Allan Chernoff the structure is being planned as an 11-story building. It will cover 120,000 square feet. Within that space, the source said, 10,000 square feet -- just more than 8 percent -- would be designated for the Muslim prayer space. The developer is considering the possibility of an interfaith education/meditation/prayer space as well, the source said. The Islamic Center's leaders have said plans for the $100 million facility call for a community center including a mosque, performing arts center, gym, swimming pool and other public spaces. It will be built on property the center already owns, two blocks from where the World Trade Center was destroyed by Islamic extremists on September 11, 2001. The attacks on the two towers killed more than 2,700 people.